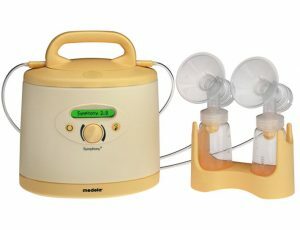 The Medela Preemie Plus Rental Breastpump is designed for mothers whose babies are in the NICU or need to be separated for some reason. Rentals are available in 10, 30, and 90 day rental periods. Initiation Technology™: Used soon after birth can significantly increase breast milk production. INITIATE program contains a mixture of stimulation phases, an expression phase and a pause phase. 2-Phase Expression® technology: Can be used by all mothers to help build and maintain milk production. MAINTAIN program can be used to build upon initiation and maintain their milk production. Click here to reserve yours today.